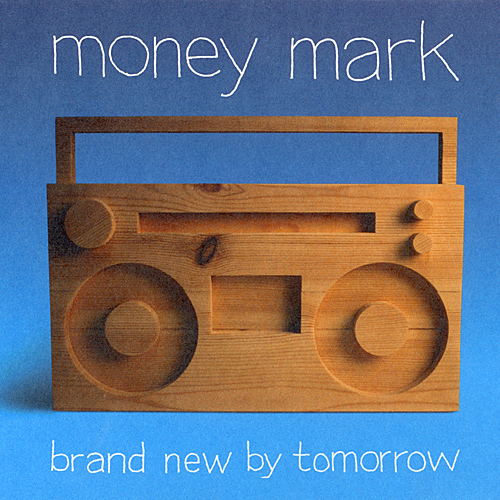 After viewing lots of ‘overdesigned’ artwork, it’s refreshing to see this minimalistic packaging of Money Mark. The concept and execution seem so simple (although I cannot tell for sure) but it has very good visual appeal. Just look at how the colors complement each other, how the texture of the woodcraft contrasts to the plain blue background, how the thin handwritten text adds to the simple pizazz of the artwork. 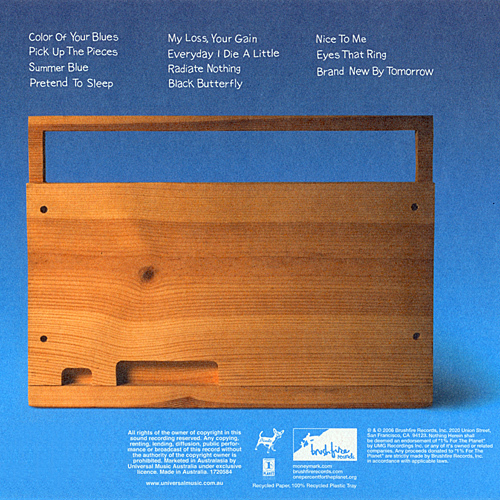 The wooden boom box was created by Todd St. John and Gary Benzel of Hunter Gatherer & Green Lady fame. The CD label artwork below is one of the most visually appealing CD label artwork I’ve seen in my lifetime…and I’ve seen a lot! 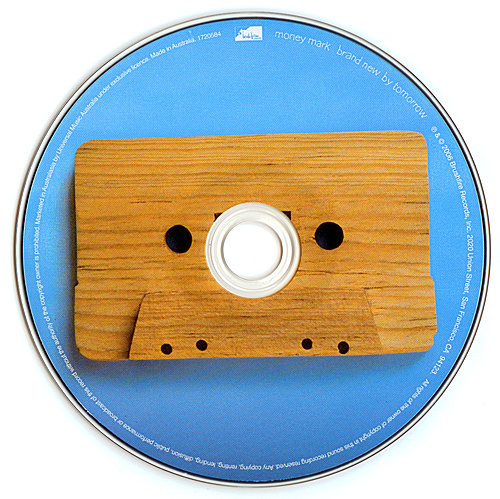 The wooden tape looks like it’s actually placed on top of the plain blue CD. 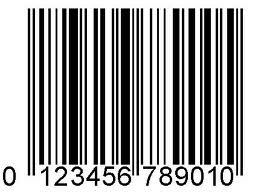 I could stare at it for hours.Brilliant!